Witch in Opera Faust Real Photo - Entertainers - Real Photo - Vintage Postcards | VintagePostcards.com: vintage, old, antique postcards for collectors. 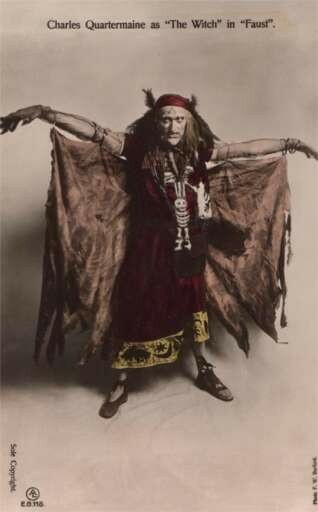 "Charles Quartermaine as The Witch in Faust." Photo by F. W. Burford. Hand-tinted.